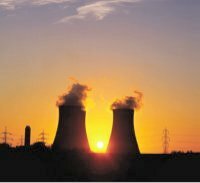 Nuclear Power ProCon.org -- How practical is Nuclear Power now and for the future? NOTICE: The last input into this website was 1988, and it is considered archived. Prior to ProCon.org being formed in July 2004, ProCon.org's Chairman, Steve Markoff, and two others published an 87-page booklet in May 1988 about the pros and cons of nuclear power titled "How Practical Is Nuclear Power Now and for the Future?" Mr. Markoff reformatted that 1988 booklet into a website which served as a predecessor to ProCon.org. For more current research on the pros and cons of nuclear power, see the Alternative Energy ProCon.org website. The booklet "How Practical Is Nuclear Power" (Library of Congress Catalog Card Number 87-092245) was originally published in May 1988 by the non-profit organization Association of Media Accuracy, co-founded by Steven C. Markoff (the eventual founder of ProCon.org) and Maury Weiner. On July 30, 2003 that 87-page booklet was converted into a website. On July 12, 2004, that website was transferred to ProCon.org under the site name www.NuclearPowerProCon.org. In almost all cases, the format, wording, and terms used in the May 1988 publication have been transferred without changes, but, in a few cases, terms have been updated. For example, "Definitions" was replaced by "Glossary" in the website's header. This site presents in a simple, nonpartisan pro-con format, responses to the core question "How practical is nuclear power now and for the future?" We have divided questions about the topic into the issues and sub-issues listed below. Listing, by country, of the world's nuclear power plants. Presents major adjustments to nuclear power programs since 1980. A recap of the percentages of electricity generated by nuclear power. A listing of nuclear reactors awaiting or undergoing decommissioning, 1985. Flow-chart diagram of nuclear fuel cycle (light water reactors). Diagrams of three types of nuclear reactor designs. Descriptions of the nuclear reactor accidents at Three Mile Island and Chernobyl. Descriptions of proposed high-level waste disposal techniques. Estimated cost of electricity from new plants, 1983, with projections for 1990 (1982 dollars).